Realistic vector illustration of an hi-tech musical player device. 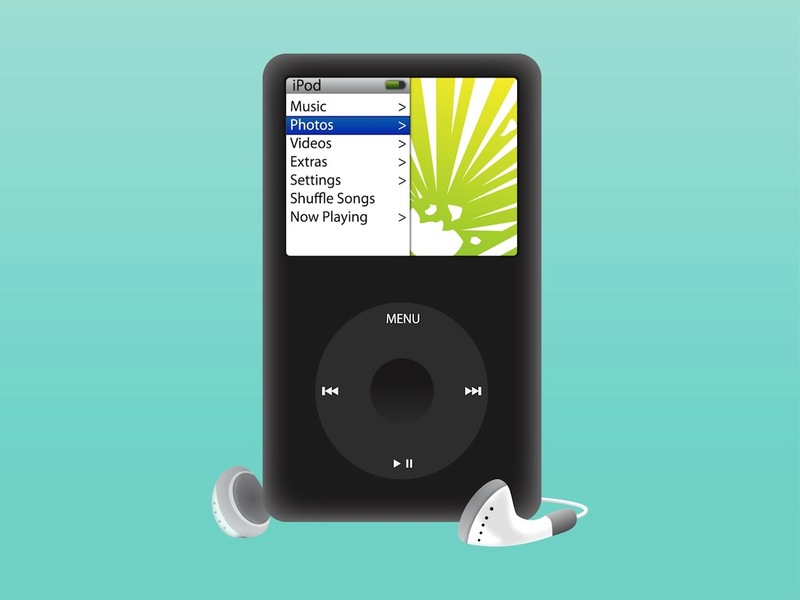 iPod Classic manufactured by Apple. Device standing up with default earphones behind it. Abstract artwork and menu categories on the screen. Free vector illustration for all gadgets, technology, Apple products, devices and music projects. Tags: Device, Gadget, Musical Player, Realistic, Tech, Technology.